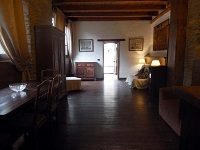 Il Fienile with its own entrance, is located in a small village of 1700, called "Molinetti". The barn meets the needs of families and groups organized for internships, yoga classes and meditation. 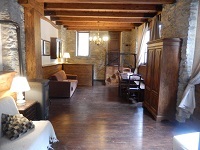 The wooden and stone structure has an independent entrance and has an elegant furnished living room. 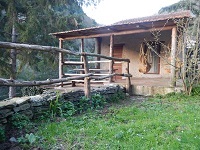 The heating is provided by a pellet stove and the production of hot water is generated by an alternative energy system, consisting of a solar panel system integrated with a wood boiler. The water that flows from the taps is of spring.